Students in the Early Act Club have been learning about the issue of water pollution and ways it can be prevented. They took part in a poser competition held by Rotaract Blue. In preparation students spoke with representatives from Water Authority and the Department of Environmental Health to learn how water can be protected. 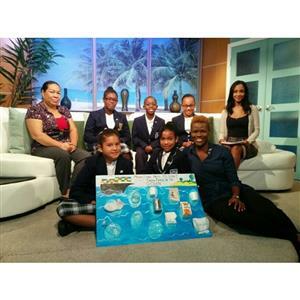 The students were then ask to create a poster that illustrates one of the following messages: Backyard clippings; Don’t pour oil or other chemicals down the drain; Don’t throw trash in the ocean; Pick up your pets poop; Save water; and How to sanitize water.